​ It is with great excitement and joy that we welcome you to the fourth edition of the Myanmar Music Festival. Since 2014, the festival has been blessed to receive numerous support from people across various sectors, ranging from civil society, diplomatic community, private and public sectors. This support has shaped our journey with music and culture in Myanmar leading this year to a Myanmar Music Festival Tour under the auspicious recognition of the Ministry of Culture and Religious Affairs. Together, we will be touring five cities in Myanmar: Sittwe, Myitkyina, Nay Pyi Taw, Mandalay, and Yangon, with the aim to keep bringing music to a wider and more diverse audience every year. On each of these concerts, we are honored to premiere seven new and interesting compositions, commissioned for this occasion. These seven new compositions were written by composers from the United States, Peru, Taiwan, and Myanmar, including Ministry of Culture's very own U Hlaing Win Maung. These pieces, all explore the idiomatic languages of both Myanmar traditional and western instruments. Traditional instruments such as Myanmar Flute, Circle Drum, Myanmar Harp and Myanmar Xylophone will be performed by the musicians of the Ministry of Culture and the Western instruments by Malaysian Mezzo Soprano Singer Yiling Chaing for her second year with us and for the first time, Taiwanese cellist Yuwen Wang and Thai violinist Chalat Limpisiri. Additionally, the festival also features young aspiring talents. ​ The festival will take place from June 1 to 18, 2017. Starting from Yangon, the festival troupe will first gather at the Khayay School for rehearsals ahead of the concerts in the various cities across Myanmar. There will also be a few events in Yangon as well, so we encourage you to check out the dates of the events in the booklet. You are all invited to attend, the admission to every concert held during the tour is free and aims to gather as many of you who are interested in embracing this moment of conviviality and joy! Please feel free to come and talk to us at the end of each event as we are always happy to meet with our audience. ​ This year, the festival is in its fourth season. 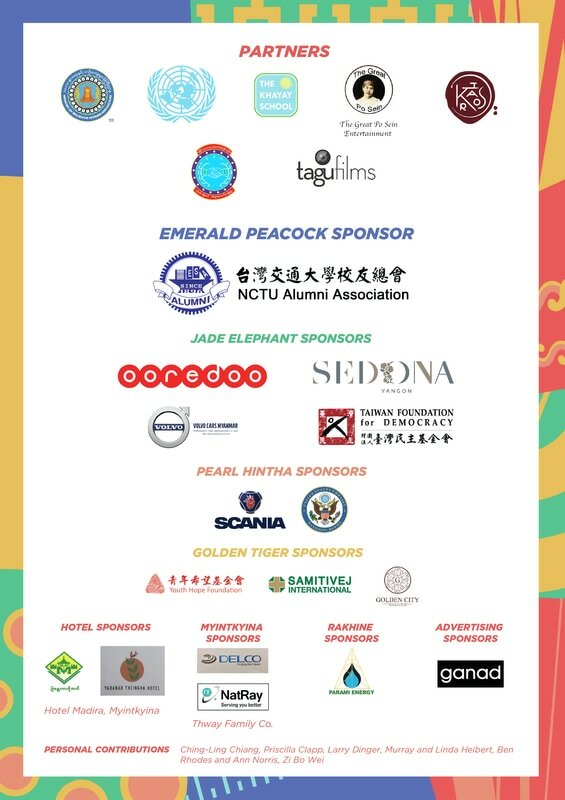 In the past years, the work of the team creating the event within and outside of Myanmar has succeeded in enlarging the audience and the partnerships surrounding the making of this event. The 2017 edition will take the musicians on a tour across Myanmar with the aim of reaching a more diverse audience outside of Yangon. The Festival will also hold concerts in Sittwe, Myitkyina, Naypyidaw and Mandalay this year. ​​ ​On this fourth edition, under the recognition of the Ministry of Culture and Religious Affairs, MMF 2017’s focus is to highlight Western Myanmar Music collaborations by commissioning different works, blending Western and Myanmar instruments. We will work in collaboration with Myanmar traditional artists and artists from the South-East Asian and East Asian regions. The festival will also feature returning students such as Kevin Yang, who is a recipient of a full scholarship as a piano student at Missouri Western State University. This fourth edition also aims to be a preparation for the 5th anniversary of our festival in 2018.